Push in type, are made of the plastic material. 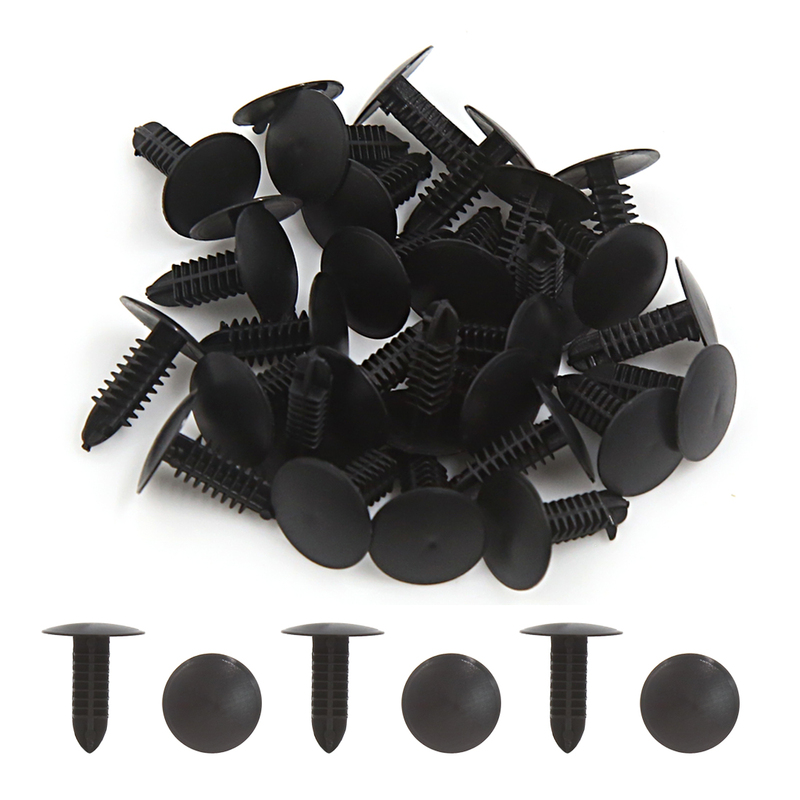 Package Content: 30 x Rivets;Fit Hole Size: 5 x 5mm/0.2" x 0.2"(L*W);Head Diameter(max. ): 15mm/0.6"
Stem Length: 17mm/0.67";Total Length: 18mm/0.71"